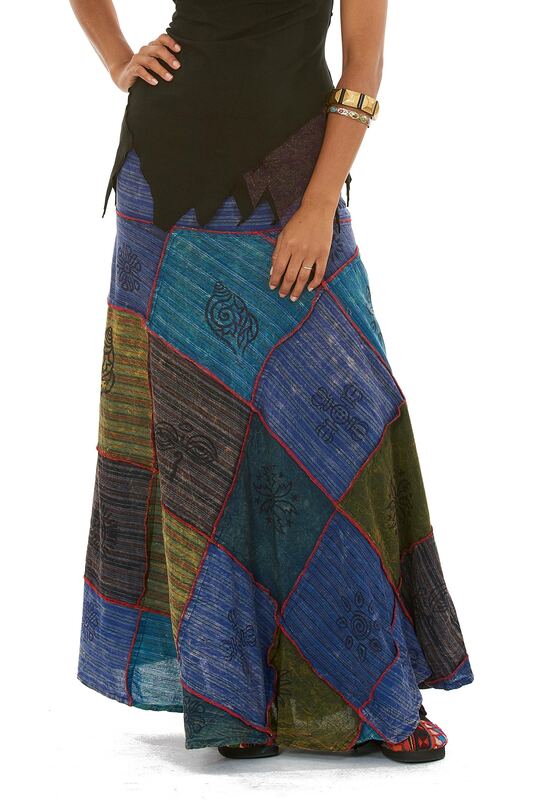 A lovely long hippy skirt made up of patchwork squares of different coloured cotton. On the squares, there are block-prints of funky Nepalese designs. 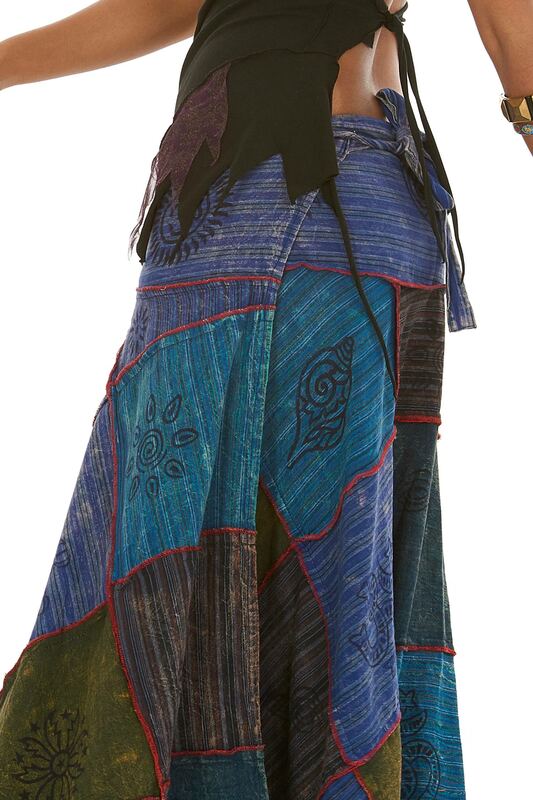 The length of the skirt around the waist is 42" (106cm). 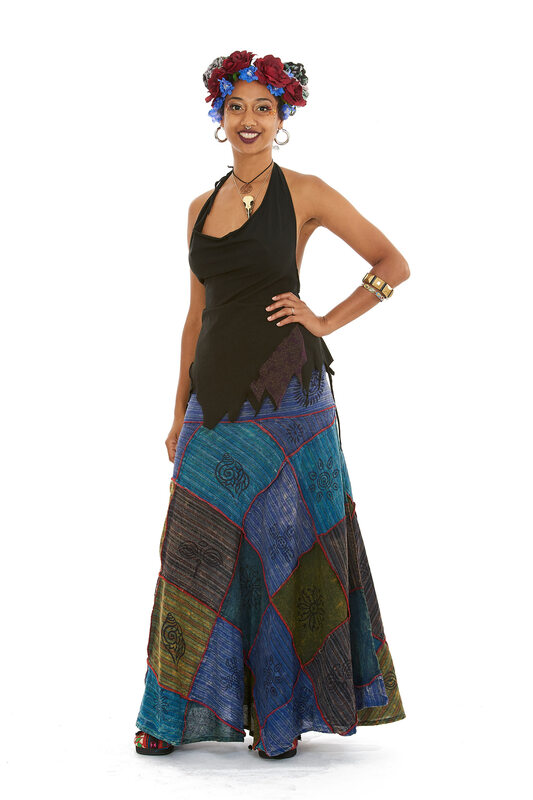 The skirt is wraparound so fits many sizes.